Pavements have not quite piqued the curiosity among many of the people. To others, it may seem to be just a normal walkway while to others it may be a marvel in architecture. There are various pavement designs to choose from on the market but one of the most sophisticated is the interlocking pavers. 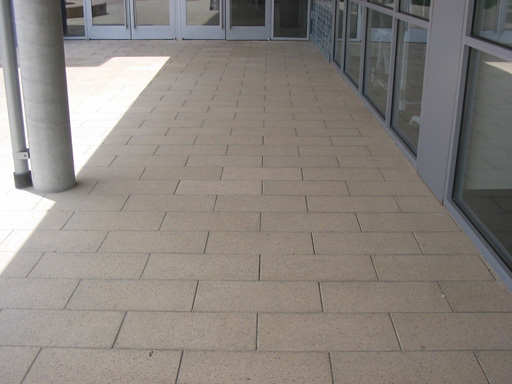 The interlocking pavers has been said to originate from the Ancient Romans 2000 years ago. The Romans attempted to build roads from simple materials and construction. However, this simple system of road building was able to last millennia and centuries until today. It is said to have an excellent material construction which makes it stand in virtually any type of natural condition. The idea to interlock pavers on the other hand is an innovation from the Roman road architecture. It is a much improved version where there is improved stability and a variety of designs to accommodate the artistic side in every pavement strollers. This modern-day Roman road architecture is reinforced by the concept of interlocking mechanisms where a paver that is interlocked with the other nullifies or constrains the movement of the other creating a more stable construction. This feature to interlock pavers is not only very effective in terms of stability and vitality of pavement construction but it is also an easy self-install paver which makes it not a hash to have. The mechanism inside the interlocking pavers is that they interlock through the use of sand. This resembles the use of bricks and stones suggesting that to interlock pavers can be a fruitful alternative to the classic means of pavement and road construction. But if one had enough of the efficiency of the interlocking pavers, one can still look into the aesthetics of such magnificent pavement technology. The interlocking pavers is modular which means that the geometrical construction of the pavement designs fit into one another creating a larger design from every piece of the interlocking pavers. There are many perks in considering the idea to interlock pavers in houses and roads. The interlocking pavers accommodate the traction and weight of residential and commercial vehicular equipment because of its movement cancellation feature. Also, it has a fuel and oil resistant feature which makes oil or fuel spills nothing to worry about. The interlocking feature also suggests that once this paver system successfully and properly installed it will require no arduous maintenance. This makes the interlocking pavers one of the things to look out for. The modern version, interlocking concrete pavers, is manufactured in a variety of patterns to add vitality to any environment. Interlocking pavers create style, colour and eye-catching patterns while providing a durable and long-lasting surface. Make a superior integrated system for residential and commercial vehicular requirements. When properly installed require practically no maintenance. Do not require expansion joints. Resistant to spilled fuel and oil. May be used immediately upon completion of installation. May be disassembled to repair subgrade or underground services then reinstalled with no unsightly patch. Skid and slip resistant surface. Easy to work to grade transitions. Interlocking concrete pavers do not crack like asphalt or poured-in-place concrete or stamped concrete. Flex without cracking. Easy to repair and/or replace. Asphalt, concrete, and stamped concrete can’t make this claim. Resist deterioration from freeze-unfreeze cycles and de-icing salts better than asphalt and better than ordinary poured-in-place concrete. Concrete pavers come in many shapes and colors. 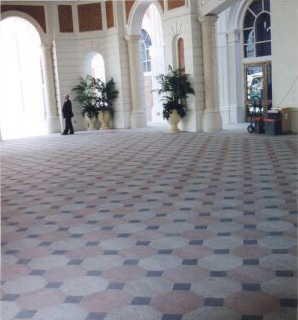 Virtually unlimited combination of solid and blended colors, shapes and laying patterns. Paving stones should last over 30 years, which is much longer than alternative pavements, under normal residential use. 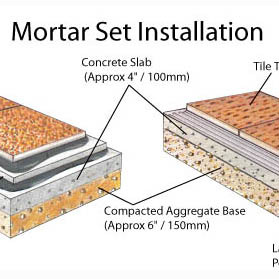 This special interlocking feature enables pavers to be easily installed without the use of mortar. Interlocking pavers have the advantage of being an easy self-installation paving material for the homeowner or contractor. When installed properly, the combination of the pavers, bedding sand, edge restraint and joint sand causes them to bind, allowing the paver units to become a unified whole. Interlocking pavers blocks have the ability to transfer loads and stresses laterally by means of an arching of bridging between units, spreading the load over a large area, reduces the stress thereby allowing heavier loads and traffic over sub-bases which normally would require heavily reinforced concrete.